Replacing your roof requires a big investment that can cost tens of thousands of dollars, depending on the size of your roof. The materials you choose will be a fraction of your expense. Most of it will go toward labor used to complete the project. That makes picking an experienced roof replacement contractor the best way to insure your investment and make sure the job is done properly. No problem, right? Unfortunately, roofing is a business where you need little more than a truck, a ladder and some pretty basic tools to be in business, so you need to be careful and do your due diligence in picking the right one for your job. If you can get a referral from a friend, relative or an acquaintance, its probably the best way to find the right one. Get the names of at least three prospective contractors. Be sure they’ve each been in business five years or more — roofers that do poor work don’t usually last long. The next step – do a drive-by viewing of several of their recent projects. Look and make sure the spaces between the individual shingle tabs, known as water gaps, line up perfectly straight as they alternate the shingle rows. Be sure the shingles are trimmed in a clean line through the valleys where they are overlapping the flashing. 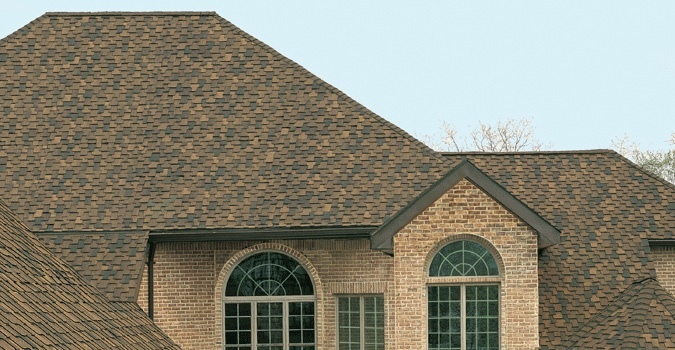 On the roof ends, shingles should be neatly trimmed so they’re aligned with the edge of the roof. Jagged lines equals shoddy work. Also look for neat flashing, free of tar, at the valleys and the eaves. Would you hire this roofing contractor again? Did the roof have issues or leak after being replaced? If so, did the contractor immediately respond, were they respectful and courteous? Did they charge for work they had to do to fix the issue? Did the job come in on or under their budget? If not, how much was it over? Were the additional expenses justifiable and needed? Did the company damage any of their property, such as landscaping, and did they leave any nails or other debris behind after the project was complete? Flat tires are a big issue during and after roofing projects. Good roofing companies make sure they pick up any extra loose nails with a large rolling magnet during and after the job. Was there a foreman on the property to answer any questions or concerns during both the tear-off and the installation of the new roof(these two jobs are completed by different crews at times)? You need a crew leader there to handle any issues that arise during the project. 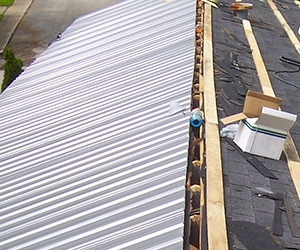 Get your valley and eave flashing done now, as it is least expensive and easiest to do when re-roofing. Have any pipe boots or roof jacks replaced to keep water away from where pipes or gas vents are sticking out. If it’s in good shape, leave the chimney flashing alone. But, If it isn’t, have the contractor call in a masonry professional to replace them. Now is also the perfect time to make sure you have the attic properly ventilated. Get it inspected by the roofing contractor or a heating and cooling contractor. Poor airflow can cause an attic to get over 130°F during summer months. During the winter, moist interior air will cause condensation underneath the sheathing, which will cause it to rot. You could have ridge and soffit vents put in to help circulate cool air into the attic, killing two birds with one stone. If you suspect that the plywood deck underneath the shingles or tiles is decayed, put an allowance in the agreement for getting it replaced. Be absolutely sure its stated in the contract that you approve any expenses over a certain amount, and that you get refunded money back if the decking is in good shape and doesn’t need any repair or replacement. Ask what steps the contractor will take to protect your property and landscaping. State clear lines of responsibility for any landscaping that gets damaged in the agreement. Know how the debris gets disposed of and how often loose nails will be gathered up. Dumpsters or trucks should be used for garbage pickup, but make sure they don’t roll onto your grass and over underground sprinkler systems. Thick plywood should be placed under any dumpster or truck wheels to keep your lawn and driveway protected. You could budget little extra in the contract to have the old shingles carried away or carted off by hand to the curb. And finally, trust your gut instincts. If a contractor rubs you the wrong way, even if its right before or during signing the agreement, don’t be afraid to back off before you sign and start your search again to find someone new. Unless you have water leaking easily into your home from a seriously damaged roof, it pays to be patient and careful on making the right decision with this major investment. 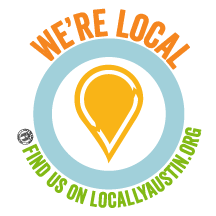 Armadillo Roofing & Exteriors (512) 333-7663, provides commercial and residential roofing services to Austin, Texas and the surrounding area. This includes commercial roof repair, commercial roof installation, residential roof repair and residential roof installation or replacement. We have been providing professional roofing services to the area for over 17 years. Give us a call if you need a roofer you can trust to replace your roof correctly.